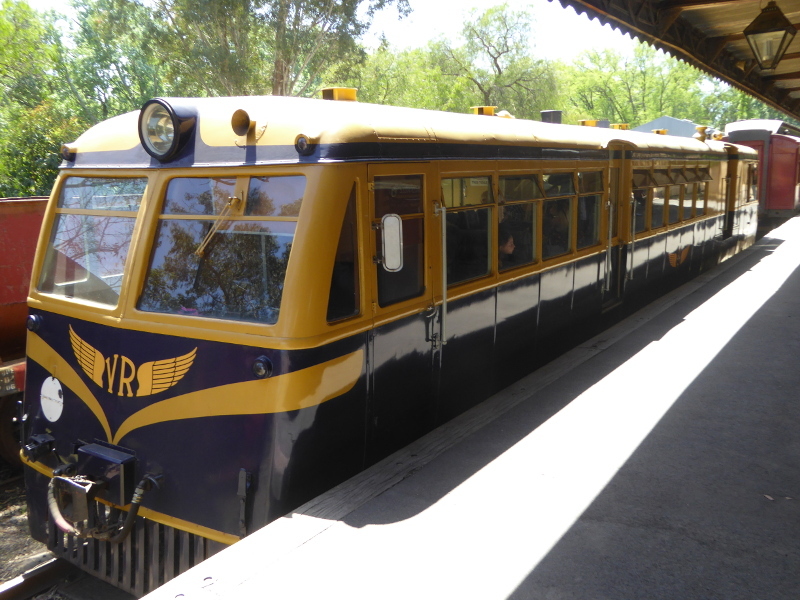 The Yarra Valley vintage railway runs from Healesville on the old line to Lilydale in a cute 1960s carriage. It goes through a brick tunnel and along a stretch of trestle bridges. 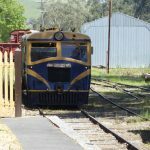 The Yarra Valley Railway out of Healesville doesn’t really go anywhere these days, but it’s a nice ride nonetheless, and the volunteers who run it are working hard to extend the track to the newly-renovated station at Yarra Glen. The Sunday we chose to visit happened to coincide with Hallowe’en celebrations. 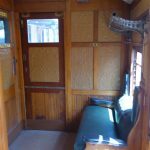 There had been Ghost Train rides the night before, and the train crew had adorned the carriage with fake chains, severed limbs (plastic, of course) and lines of ‘cobwebs’ to make it a bit more scary for the kids on board. The two ‘witches’ in fancy dress were goading the children with stories of animals they might see if they looked hard: kangaroos, echidnas and… an elephant. Strange thing to say, we thought, till the train ride reached the end of the line, anyway. More on that later. 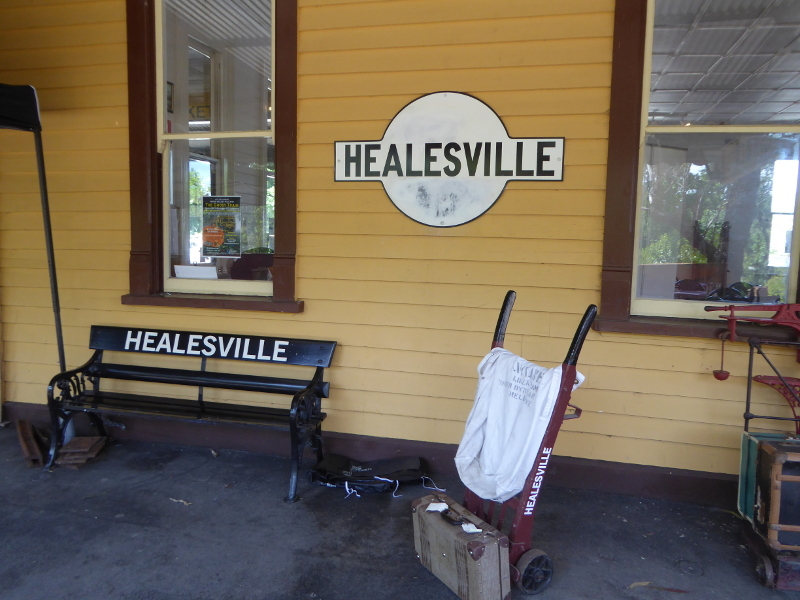 The ride begins and ends at Healesville, and lasts about half an hour in all. Healesville station is a nice 1903 building with some original (or certainly vintage, anyway) features dotted around the place. I love old railway posters and there are quite a few nice ones on the walls as you enter the station, including one advertising for workers on the railways many moons ago (check out the fantastic working conditions). 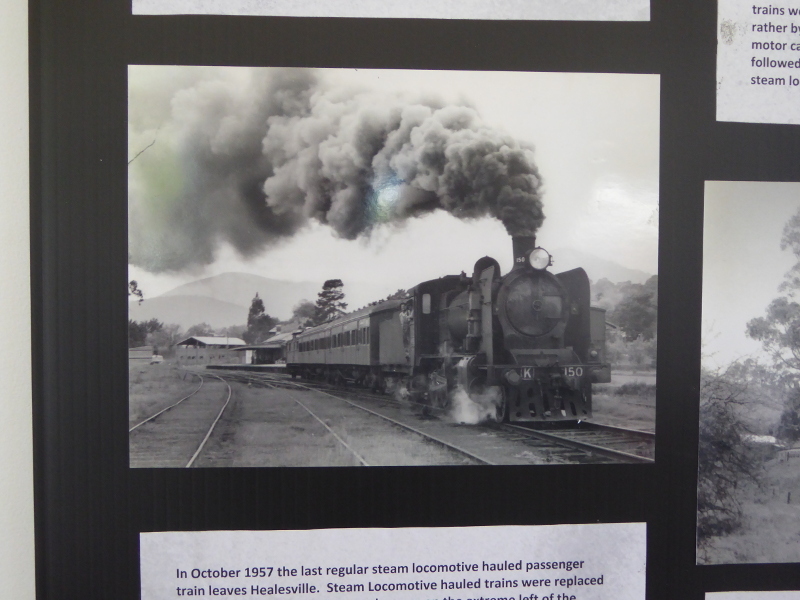 There’s an exhibition up in the main room where the volunteers show some of the history of the Healesville-Lilydale line and what the current Yarra Valley Railway folk hope to achieve still. 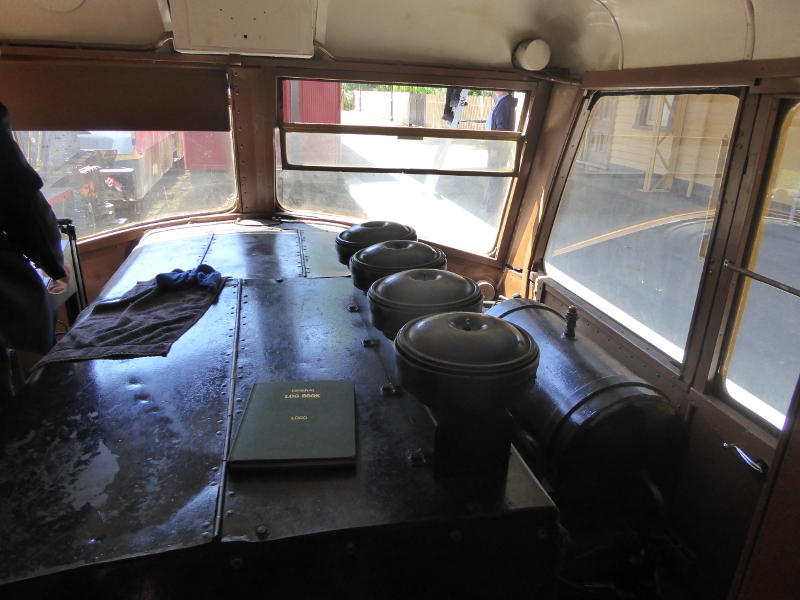 Out on the platform, but not yet ready for rolling sadly, is a renovated carriage from maybe the 1930s, with fittings that reminded me of what we had seen on the Daylesford-Bullarto line. And then the ‘train’ itself comes into the station. 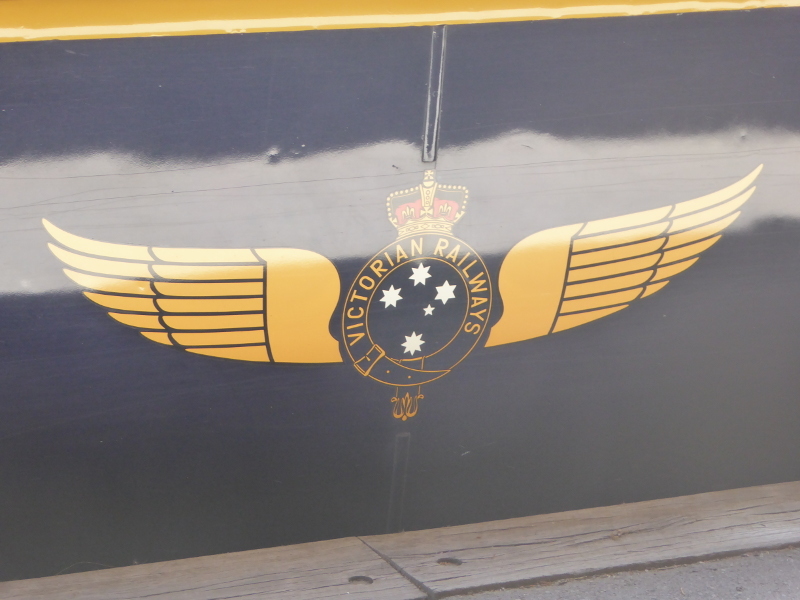 It’s only a single carriage in bright yellow and blue livery, its fittings dating probably from the 1950s or 60s. We sat in what was once First Class, making up basically half the seating, though it didn’t look that much different from the seating down the other end of the carriage in ‘second’. 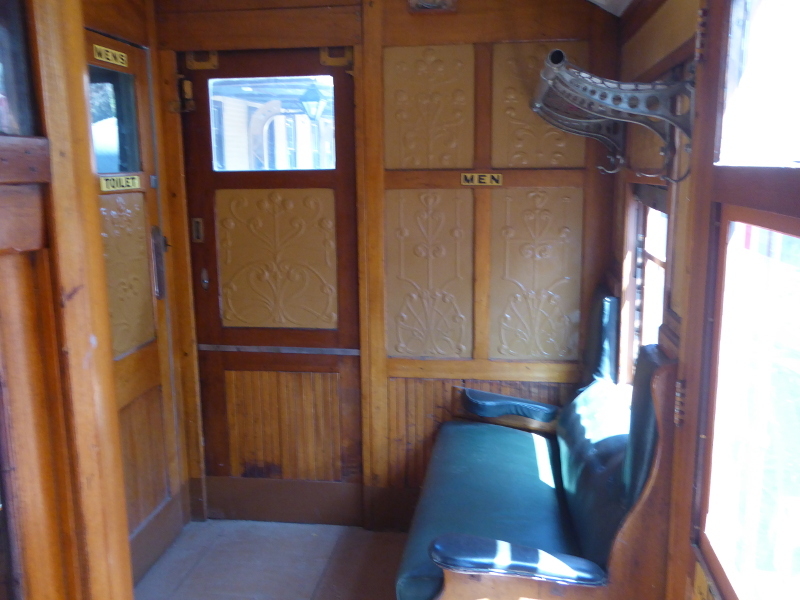 I liked the list of ‘instructions for better travelling’ posted above the carriage door. Top of that list was a line forbidding ‘annoying behaviour’, (and I wondered how that was defined as I listened to one of the kids screeching his way along the journey later). Further down the list was a prohibition on ‘projecting any part of the body from a vehicle’, and that got me wondering what bits of body people would ‘project’ in times gone by?? You actually get a better view of those trestle bridges the train runs along if you watch from a distance, and the brick tunnel – which is apparently the only tunnel on a tourist line in Victoria – is really only visible if you sit in the front two seats, though it’s quite fun to sit in the dark, especially on a spooky Hallowe’en train. We didn’t spot any kangaroos or echidnas, sadly, but as we trundled through the bush, I did at one point see a trio of stripy animals which might have been wooden sculptures of something like antelope or gnu or something. And that’s when I realised what the ‘elephant’-sighting might consist of. And sure enough, just as we reached the end point of the line, and as the driver moved back to the other end of the train to take us back to base, I spotted a rather modern art sculpture in some sort of metal, which was almost certainly an elephant, a couple of hundred metres away from the track…(we later drove past the entrance to the Tarrawarra Museum of Art, and realised this may well be the reason the animal sculptures were there). On the drive back, kids were allowed to join the driver in his (very noisy) cabin at the front (and some even allowed to sound the horn – so unfair this is limited to kids, I say). I took a brief look at the end, and noticed the driver in his ear muffs to protect against the amazing racket of the diesel engines at work. “Hot in summer?” I asked him. “Very,” was his brief reply. So maybe those working conditions weren’t always as nice as they sounded on the vintage posters, but I’m sure glad these volunteers got the railway working again, and how good would it be if they can become the Healesville to Yarra Glen line? $18 for an adult ride. Timetable is on the YVR site, though that is for a ‘normal’ Sunday, unlike Hallowe’en weekend. Only runs on Sundays and public holidays. 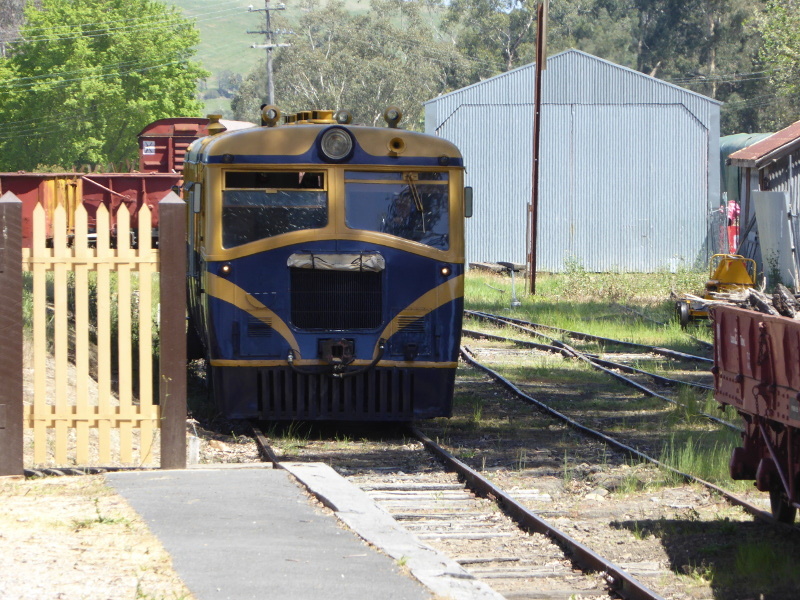 The Lilydale to Healesville line opened on 1 March 1889. 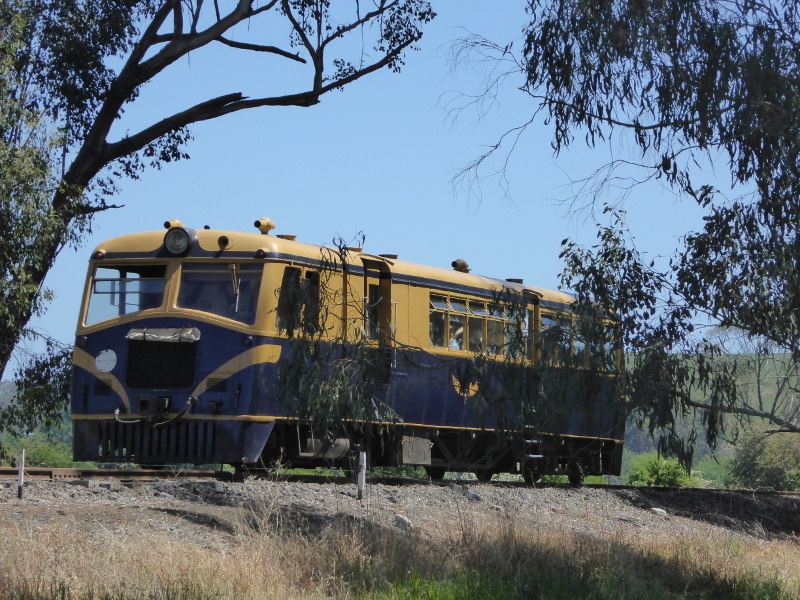 The last steam train on the line ran in 1957; and the last passenger service in 1980. 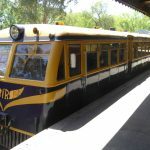 The line reopened as a tourist railway in 2010. 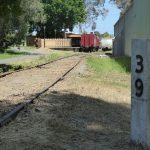 The Trove website revealed that there was quite a discussion about the route the line should take before it was built. Some of the flavour of the debate mirrored similar talks you hear still to this day, with complaints of the building running over projected costs, new routings being suggested that would increase the cost to taxpayers way above the original proposals, and worries about the state of the roads to bring people to the stations. 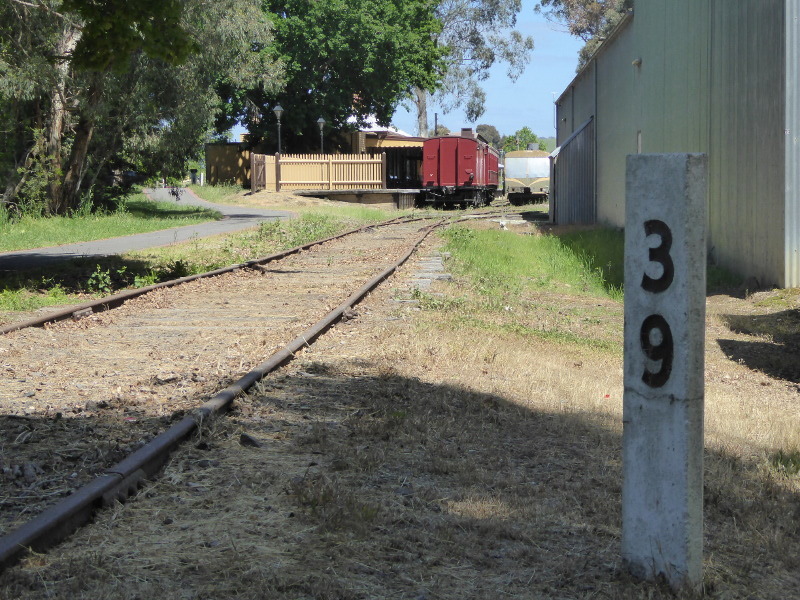 The original, shorter route would have gone more or less straight from Healesville to Lilydale, but the line they ended up building ran via Yarra Glen and followed the valley more directly. 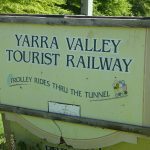 With the risk of flooding increasing that way, it explained why those trestle bridges needed to be built and why it cost so much more, but if they hadn’t built it that way, we probably wouldn’t have the Yarra Valley Railway we have today, and Yarra Glen probably wouldn’t even have had a station at all. 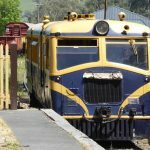 I was amused, though, by the 1942 letter to the local paper Healesville and Yarra Glen Guardian pointing out that the Cobb & Co carriage service Melbourne to Healesville used to take 5 hours to do the 40 mile journey in 1882, including a change of horses at Blackburn and lunch in Lilydale! The correspondent complained that in 53 years since the railway opened, the journey time had been reduced by only 16 minutes! 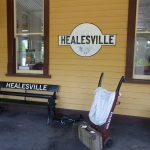 My favourite story dates from 1937, and links the Healesville railway to the town’s other main attraction, the Sanctuary. It seems that was the year 113 new snakes arrived in the Sanctuary, and a public appeal went out for ‘frogs, mice and birds’ to feed the new residents. The trouble was, the public sent fifty dozen (that’s 600 or so) live mice, birds and frogs in packages that were all deposited at Healesville Station. So, apart from the logistical issue of how to get them to the Sanctuary, there were a few financial issues to deal with, since some were sent in packages with postage to be paid by the receiver (!) and some members of the public apparently believed they’d be receiving 4/6 (about 35c) for a dozen frogs….I also found a note from the Sanctuary staff saying they were actually offering 3d for 12 frogs, which amounts to about 2c. 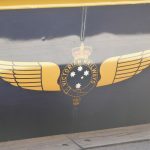 Staff tended to stick around a long time (not surprising with those working conditions I mentioned above…) so when they retired or moved on, there would often be big gatherings of colleagues and passengers to see them off. 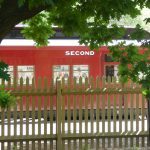 I loved the 1928 story of Mr E Johnson who retired after 46 years on the railways, 16 of which had been on Healesville Station platform. His colleagues got together and bought him the railways watch he had used to see trains off for the past 16 years. What a nice gesture. The watch had been Mr Johnson’s ‘daily companion’ for 16 years and he had looked at its face as often as he had looked at his own., said the goodbye speech from the station master. 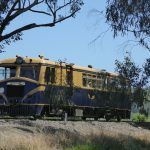 What are your memories of the Yarra Valley Railway or the Healesville – Lilydale line? 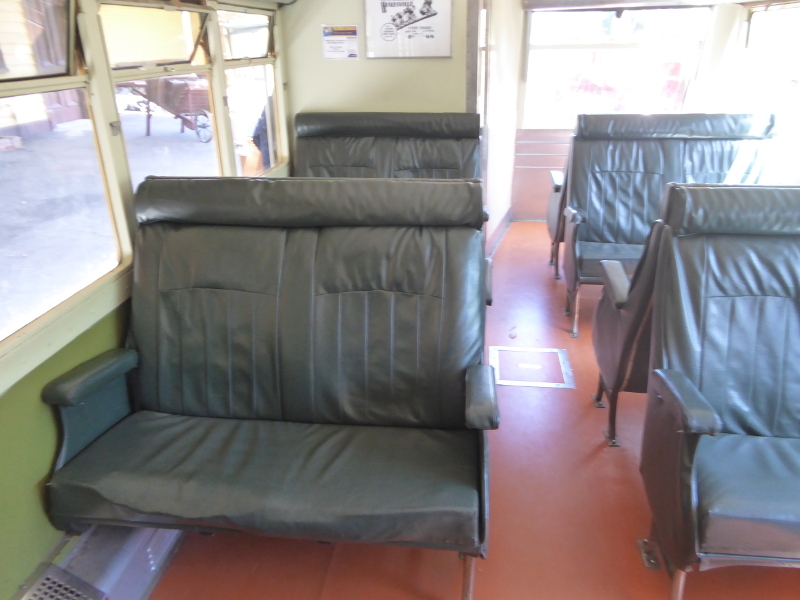 Did you ever travel on the line when regular passenger services were still operating before 1980? Or any of your relatives speak of the days when steam trains still ran here? 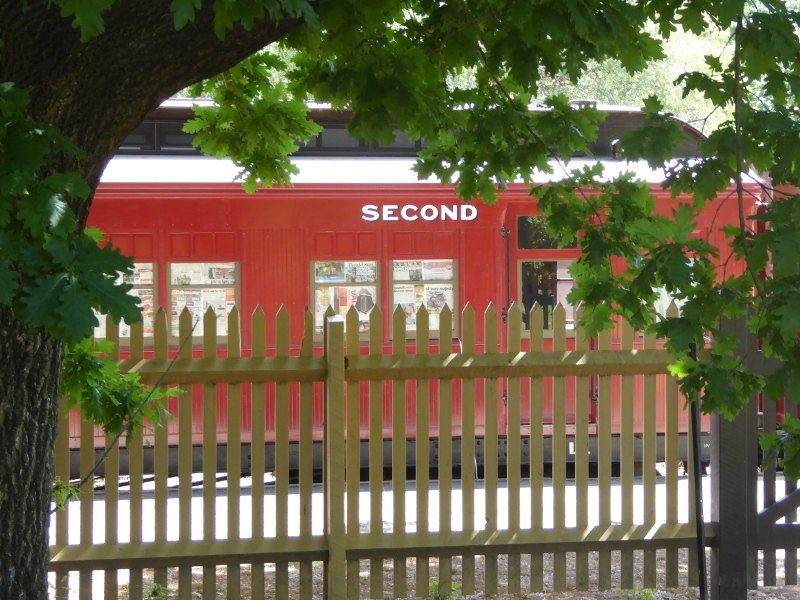 Have you been on the Yarra Valley Railway and got a good story to tell? 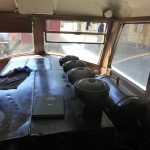 The Yarra Valley Echoes website published a fantastic blog on the restoration of the bridges – it’s more engineering than travel writing but still really good material here. 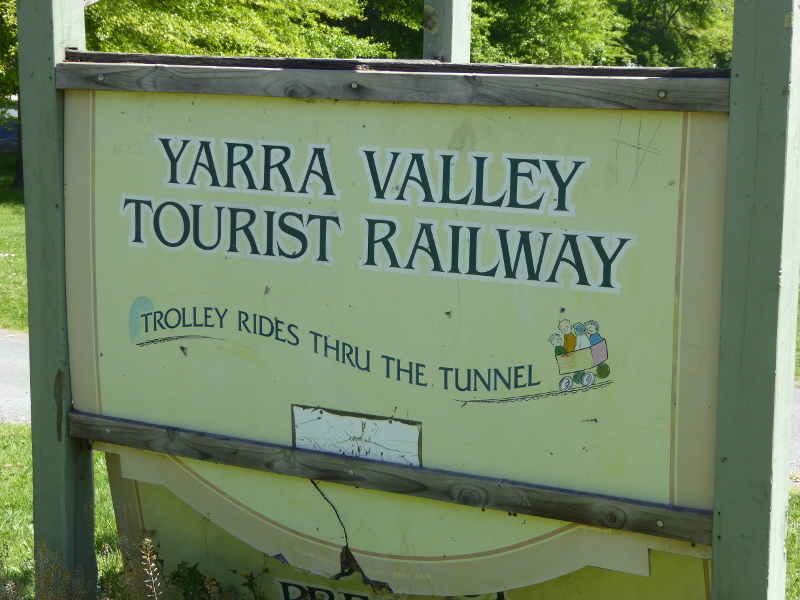 This bushwalking blogger rode the Yarra Valley Railway in 2012. 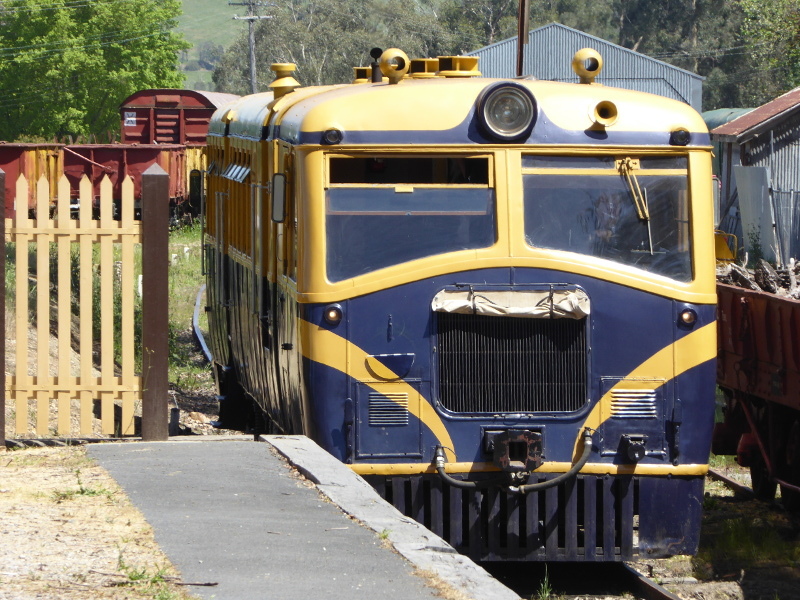 This blog for things to do with toddlers came to the Yarra Valley Railway and liked it. 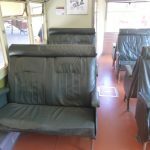 Even the Mormons have reported on volunteer work on the railway! Best coffee in Healesville (and best bread, definitely) is probably at Habituel bakery and roastery, but that is at the other end of town towards the Sanctuary. And it does get very busy on a Sunday. We actually liked Wombats Chai Café, which is the last ‘shop’ on the main road into Healesville and really near the railway station. Coffee is locally roasted by Great Divide Coffee, with teas from Tielka Teas and some really good chais to choose from.